It's time to start thinking about 2019 for fantasy football! A lot of unpredictable things happened last year, and we have to adjust for the new realities in the NFL. Our new #1 ranked player is Saquon Barkley. 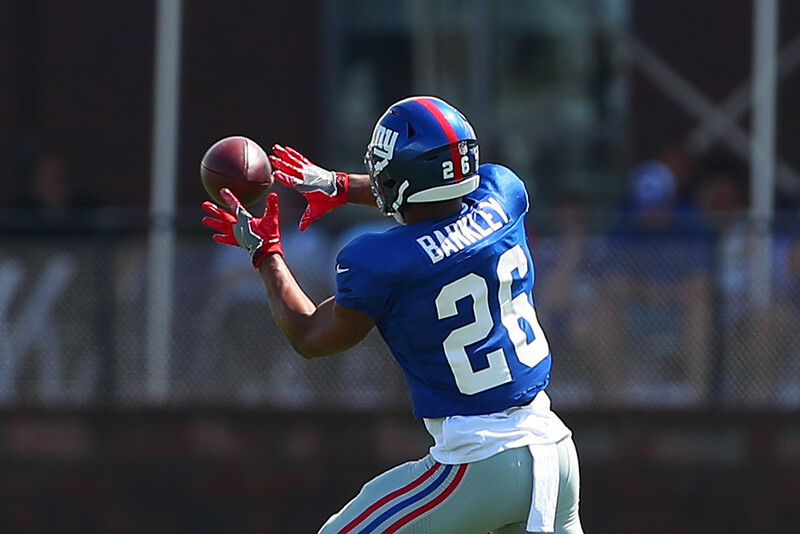 He's the top dog in New York and the entire offense runs through him. He saw 121 targets last year for 91 receptions. so he's a great low-floor prospect in PPR leagues. Todd Gurley clocks in as 2nd in the rankings. His lackluster end of the season is a cause for concern, but seems likely due to his knee injury. We'll be keeping a close eye on him and his health this offseason, but Gurley should be good to go. To round out our top 3 is Christian McCaffrey. He's another one-man show on his offense and he had several huge weeks last year. Ezekiel Elliott, Alvin Kamara, Melvin Gordon and Deandre Hopkins make up the #4 through #7 rankings in our list. With Hopkins being the first wide receiver off the board, he has shown both a high floor and high ceiling to his game. If both he and Deshaun Watson stay healthy, they will have a great year together. Elliott, Kamara and Gordon all have very different game styles, with Elliott probably the most sure thing of this running back group. Kamara has the flashy highlights and super high upside though, and many fantasy players will look to him in 2019. 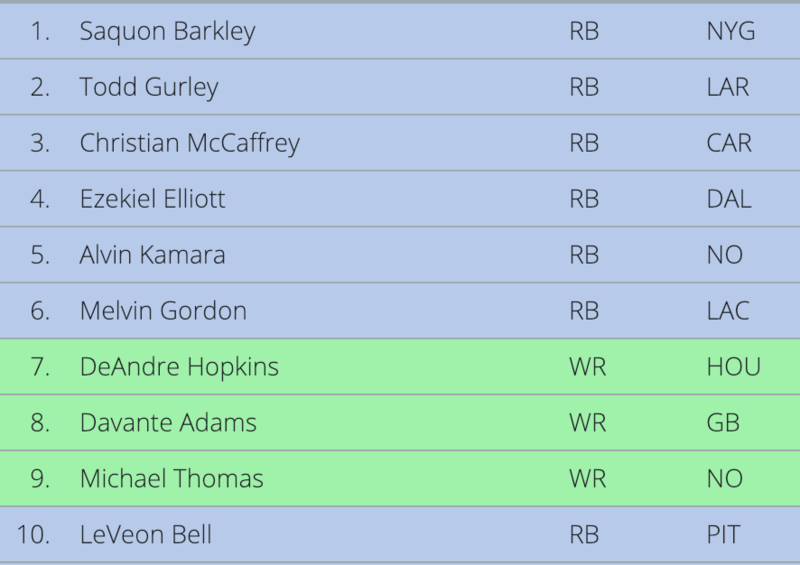 Rounding out our top 10 are Davante Adams, Michael Thomas and Le'Veon Bell. The biggest question mark of that group is Bell who sat out all of 2018 with a contract dispute. He's the biggest risk of all these players. He was a perennial top-3 fantasy draft pick and he's fallen to 10 with the unknown of his situation for next season. Adams and Thomas represent the rest of the top 3 wide receivers. Any three of them could be the top WR taken off the board in fantasy drafts in 2019.